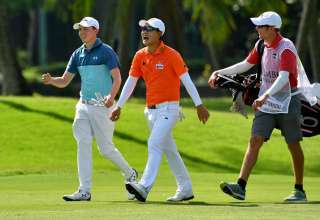 Thailand’s Jazz Janewattananond fended off nerves and challenges from world stars Paul Casey and Matthew Fitzpatrick to win the SMBC Singapore Open in stylish fashion with a record breaking score on Sunday. The 23-year-old Jazz played exquisite golf on the front nine to make the turn with a three-stroke lead, made some brilliant par-saving putts early on the back nine when he looked a bit shaky and then finished with two birdies in the last three holes to seal his victory. Jazz shot a final round 65 for an 18 under 266 total, the best four round score in Singapore Opens staged at Sentosa Golf Club beating Adam Scott’s record 17 under set in 2010. “I am really happy to win after coming off a disappointment – (my) loss to Poom Saksansin (at the Indonesian Masters in December where Jazz finished second). He beat me there,” said Jazz, whose last win was the Queen’s Cup on home soil last year. 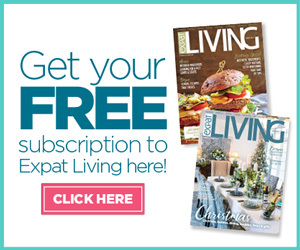 He credited a new putting style, where he grips low down on a mid-length putter, and the tutelage of renowned coach Pete Cowen for helping him cope with the difficult Serapong course. “I put the putter in play at the Panasonic Open in India (in late October). That was the first week I put it in play. It has worked ever since,” said Jazz, who became the youngest player to make the cut at an Asian Tour event when he was just 14. “I have to thank Pete Cowen (for my ball striking). I signed with him at The Open last year, I got into The Open from this event last year. He has helped for sure. 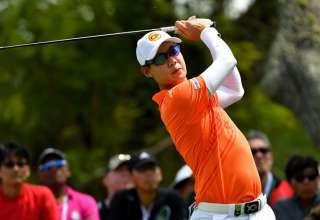 Jazz finished two shots ahead of world number 24 Paul Casey of England, who matched Jazz’s final round 65, and overnight leader Yoshinori Fujimoto of Japan, whose birdie at the last saw him card a 68. Casey’s charge was temporarily halted by a bogey at 15, following five birdies in 14 holes, and two more birdies were not enough to stop Jazz. “It was a good round of golf. It was nice and tidy. I really only made one error, it was the second shot into 15, which is a tough hole anyway, but it was a really nice clean round of golf and I played well,” said Casey, the highest ranked player in the field. Fitzpatrick, the world number 40, snapped at Jazz’s heels for most of the last round but back-to-back bogeys on 15 and 16, where his drive ended up in a hazard, ended his challenge. He shot 69 for fourth place, four shots behind the winner. There were four tickets for The Open at Royal Portrush up for grabs with Fujimoto, Prom Meesawat of Thailand and unsung Korean Doyeob Mun taking the other three. The birdies of previous rounds dried up for Fujimoto but back-to-back birdies on 12 and 13 put pressure on Jazz with the Thai responding brilliantly to the challenge. 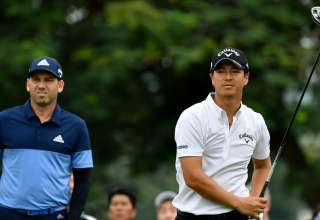 Prom, a two-time winner on the Asian Tour, shot a 68 while Mun, who recorded an albatross in the second round, recorded a one over 72 to tie with the Thai in fifth place on nine under. But the day belonged to Jazz who will move into the top 100 of the world rankings with the biggest win of his career. Jazz had a three shot lead over Fitzpatrick and Casey at the turn thanks to an impressive five-under 31 on the front nine that featured five birdies. He made a fast start with birdies at the opening two holes seeing him leapfrog Fujimoto into the lead. The Japanese drew level again with a birdie at the third hole but Jazz regained the outright lead with a birdie at the par-five fourth. Fujimoto dropped two behind Jazz with a bogey at the fifth leaving Fitzpatrick, who birdied the second and fourth, in second spot, a shot behind the leader. Jazz birdied the sixth before getting lucky at the par-five seventh where his tee shot finished just short of the water. He took full advantage by saving par, after a risky punched second shot between some trees, and picking up his five shot of the round at the par-three eighth. Casey carded four birdies on the front nine but could not make up any ground on the confident-looking Jazz. After being rock solid on the front nine, Jazz was a bit shaky at the start of the back nine and started missing fairways off the tee. He gave himself a lot of work to do on the greens and after some good par-saving putts he dropped his first shot of the day at the 13th. 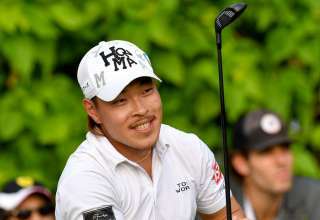 Fujimoto, who had remained patient despite losing ground on the leaders, birdied the 12th and 13th to draw level with Casey and Fitzpatrick in second spot, a shot adrift of Jazz. Jazz put some light between himself and the chasing pack by sinking a swinging birdie putt at the 16th and then set up an eagle chance at the 18th with a laser like approach. 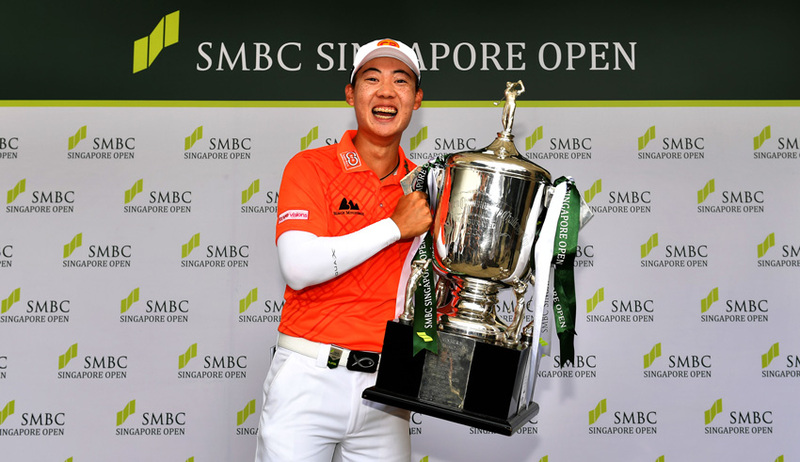 The walk to the 18th was a triumphant one with an emotional Jazz wiping away a tear before composing himself for a two-putt birdie to win the iconic SMBC Singapore Open before packed galleries.